CBCA - Announcing the CBCA Book of the Year Notable Books! Announcing the CBCA Book of the Year Notable Books! The Children’s Book Council of Australia (CBCA) today released the list of Notable Books (also known as the Long List) for the 2018 CBCA Book of the Year Awards. The CBCA Awards were first presented in 1946 and are the longest running book awards in Australia. This year the judges received 444 books for consideration and have enjoyed a range of themes, characters and stories across the five categories. As with previous years the Notables list demonstrates the depth of talent and creativity of the authors and illustrators who bring these stories to life. Judges described the entries in the Older Readers category to be of exceptionally high standard with 25 books chosen as Notables. Many books explore young people’s sexuality and tackle a range of substantial issues with grace and humour. Younger Readers and Picture Book categories had the most entries submitted for consideration. Within Pictures Books there are some excellent strong female lead characters, both human and animal, while Younger Reader entries explored themes of belonging in families, schools and new countries. From the 102 books entered in the Early Childhood category, 45 were chosen as Notable books with the popular theme of food often presented in an amusing context. A number of books explored Aboriginal themes and traditional outback settings. The CBCA supports Australian authors and illustrators of books for young readers. These esteemed awards are highly influential in children’s publishing and bookselling, providing information about quality children's books for schools, libraries and the community at large. The CBCA Short List will be announced in Brisbane on Tuesday March 27, 2018. 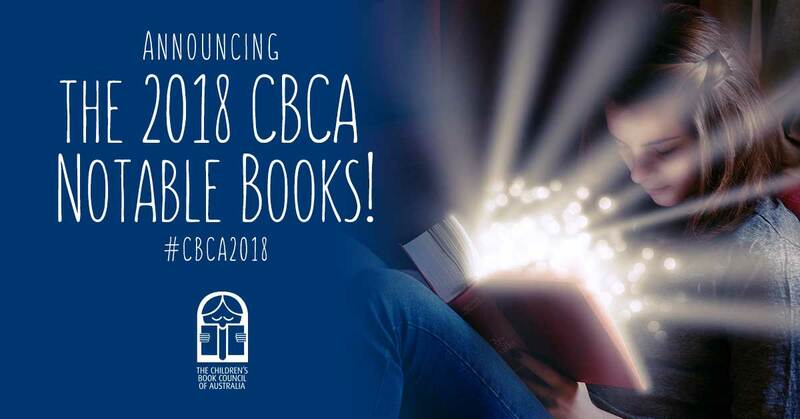 The CBCA Book of the Year Awards will be announced and presented on Friday August 17, 2018.